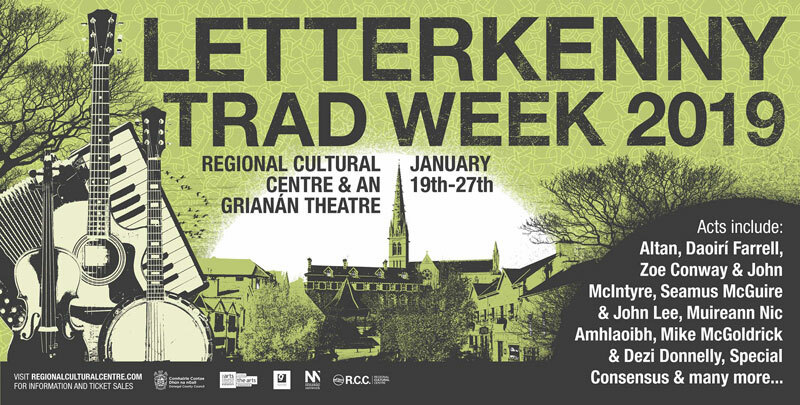 THIS year’s fourth Letterkenny Trad Week (January 19-27), brought to you in association with the Regional Cultural Centre, is quickly gaining momentum with the first show selling out. Such was the demand for the show Zoe Conway + John McIntyre and Seamus McGuire + John Lee with support from Coirm that the show sold out very soon after the holidays. There was particular local interest in this show thanks to the group Coirm which is made up by talented young musicians from the Ceol na Coille Traditional School of Music. 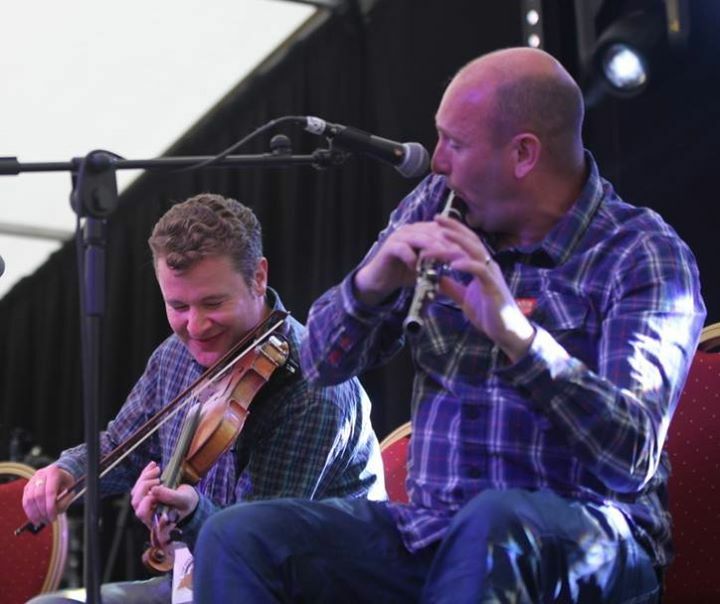 If you missed out on this show, fear not, as Coirm will be performing a second time during Trad Week when they open for legendary Donegal trad group Altan at An Grianán Theatre on Sunday, January, 27. Tickets for this show are also selling fast, so book soon! In the meantime, there is a host of other great shows, also selling well, taking place at the Regional Cultural Centre during the fourth annual Trad Week. One of Trad Week’s hottest tips is the opening show of Music Network Presents – Muireann Nic Amhlaoibh, Siobhan Miller, Damien Mullane & Anna Massie on Saturday, January 19. While these artists may not be household names…yet, they are some of the brightest stars on their selected instruments and vocal genres who have performed with some of the biggest names in music and this is a chance to see them all together on one stage. The show features the ethereal voice of award-winning Scottish songstress Siobhan Miller (vocals) and the honeyed tones of Muireann Nic Amhlaoibh (vocals/flute), recent winner of RTÉ Folk Awards ‘Best Traditional Folk Track of the Year’. 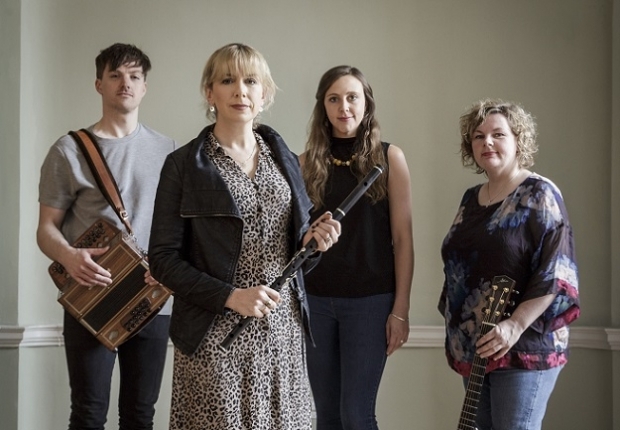 Winner of the 2018 BBC Radio 2 Folk Award for Best Traditional Track, Miller was recently lauded as “the finest young interpreter of Scots traditional song”, while highly-acclaimed singer and flautist Nic Amhlaoibh is best known for her performances as a solo artist and with Irish super group Danú, and her work as a TV presenter. Gifted accordionist Damien Mullane (accordion/melodeon) brings his unique creative talents to the collaboration. Winner of numerous All-Ireland titles on both accordion and melodeon, Mullane has played with stars from a wide range of genres including Ronnie Wood, James Taylor and Sting. Completing the line-up, fleet-fingered guitarist and banjo player Anna Massie (guitar/banjo/mandolin) is renowned for her work with Blazin’ Fiddles and such luminaries as Bella Hardy, Julie Fowlis, Kate Rusby, Capercaillie and Eddi Reader. ON Thursday, January 24, also in the Regional Cultural Centre, is another chance to see two artists who between them they have been members of Toss the Feathers, Stockton’s Wing, Capercaillie, Flook and Lunasa and have performed with Mark Knopfler, Eddi Reader, Sharon Shannon and Kate Rusby to name just a few. All concerts begin at 8pm. 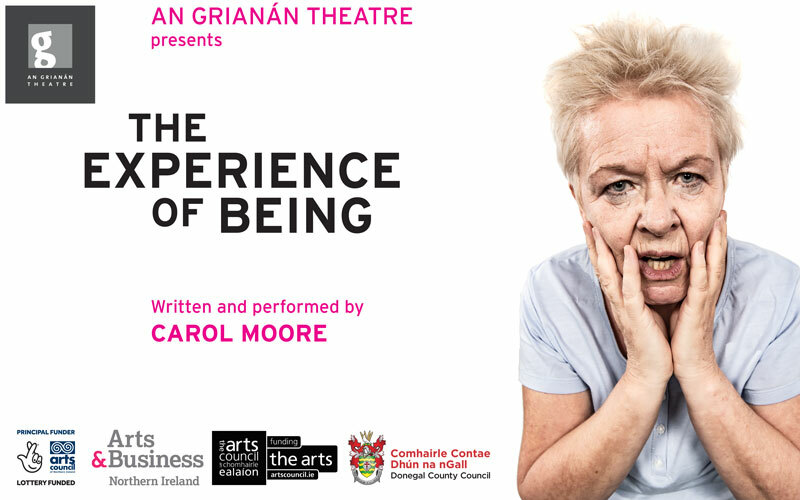 For bookings or further information go to www.angrianan.com or call An Grianán Theatre Box Office on Tel +353 (0) 7491 20777.